Jira is used by over 50,000 customers globally including top brands like eBay, LinkedIn, Spotify, and Cisco. Members of your team can use Jira to plan, track, as well as release efficient software. User stories and issues can be created, sprints planned, and tasks assigned to team members. Jira provides full visibility to prioritize and discuss your team&apos;s tasks as well as provide visual data reports in real time. The software offers its users a vast array of features and can be used for Internal and External Project Management, Software Development, and Agile Tracking. 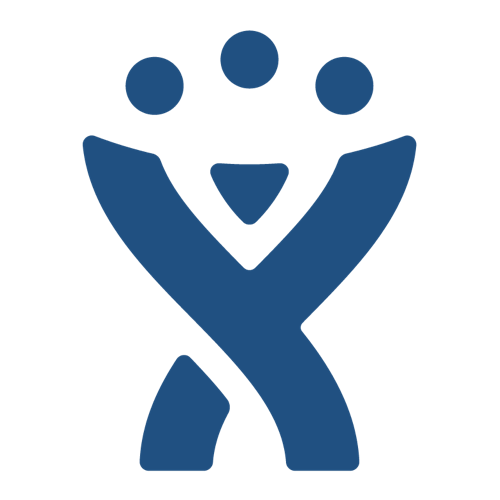 Designed by Atlassian, Jira is an issue tracking tool that provides its user with Bug Trafficking, Issues Tracking, and Project Management capabilities. It was created to help users Capture, Assign, and Set priorities to businesses and organization&apos;s work, Jira gives users an easy to use interface which enables collaboration with teammates and makes you get the job done in a most effective manner. Jira is designed as an agile system that is set up to meet the needs of different industries. With Jira, your workflows, fields, states, and issues types will get reasonable settings which can be tweaked to your needs, or design workflows and issue schemes in specific instances. With Jira, the bulk of your developer&apos;s burden will be taken off their plates, and your project management team empowered to utilize the abilities of their data fully. Jira deals with agile project management, adopting the Scrumbag approach, which captures information and regulatory evidence at all stages of the process. An important feature that Jira offers is active engagement for your team, as it provides everyone with a clear picture of the whole processes that they are involved in, ensuring that no issue goes unnoticed. Project management team members get instant notifications on issues that are of interest to them, and can effectively communicate, attach documents, and share important data. Although Jira is used more for issues and bug trafficking, Jira provides its users with a dedicated Jira Query Language (JQL) to create filters and manipulations in a short time. For example, Jira can be connected to BitBucket and GitHub to provide users backlog-to-deployment traceability, and new workflow can be created to sync different practices that users employ to create, test, and release their applications. With a large set of APIs, users can connect Jira with third-party apps to get the same data migration patterns envisioned. Jira can work perfectly with mobile devices on Android and iOS platforms. The mobile apps are as effective at their counterparts providing all mobile users with the ability to complete tasks and operations, as well as access the data on their database. Jira provides its users with pricing options for cloud and self-hosted premises. On the cloud premise, there are two plans available to users. The first plan costs $10/month and can accommodate up to 10 users, while the second plan costs $7/user/month and can accommodate 11-100 users. Both of these plans are free for 7 days with no credit card needed. On the cloud platform, there are no servers, storage and maintenance. The self-hosted platform also provides users with two pricing plans; the Server, which is a one-time payment of $10, and Data Center which costs $12,000/year. Can I use the Jira software for free? Absolutely. You can use fully functional Jira software on any of your devices for up to 30 days free of charge. How can I make payment on Jira? At Jira, MasterCard, Visa, and American Express payment methods are accepted. Bank transfers can also be used for customers on annual subscription plans. What do I do if I am not satisfied with my Jira Software purchase? Jira offers a 30-day money back guarantee without questions asked. However, returns from the 10 user server licenses are donated to charity, so the purchase of such licenses will not be refunded. Who is a Jira, software user? A Jira software is a user that has complete and total access to all of the features and functionalities that Jira offers. Such features include but not restricted to Scrum and Kanban Boards, Burndown Chart, Control Chart, Sprint Report, and total developer tool integrations. Are there any academic discounts? Yes, Slack offers qualified academic institutions with a 50% discount on server licenses with over 10 users. What are the differences between Cloud and Server options? Using Jira Software Cloud, Jira hosts and setup your software site in the cloud for its users while Server options, users host their Jira software on their own hardware such that they can customize their setup however they desire. For teams who want to manage all the details of the setup, and do not mind the additional complexities of hosting themselves, the Server option is the most ideal. What other features do I get in addition to my license purchase? In addition to your purchased license, Jira offers license purchase users with continuous use, as well as 12 months maintenance which includes updates and support, starting from the purchase date. Also, Data Center is offered to annual term license users, which includes updates and support for the period that the license is active. Software maintenance which is included for use in your first year gives user benefits such as Security Patches, Critical Bug Fixes, New Features and Enhancements, Developer License Keys, Access to Atlassian&apos;s world-class support team for technical troubleshooting, and Potential to enrol to Beta Programs. To get a quote, simply submit a request through the Atlassian Store, and then click on Get a Quote, then Submit. If you use JIRA, you need Blissfully. Blissfully automatically uncovers JIRA usage across your entire company, as well as all other SaaS products, helping you save money, improve security, and simplify operations.